Dan Mullen strode to the podium with a wide smile. He reached the microphone and clapped his hands together, exclaiming that it was a great day. At the end of the day the Gators signed the No. 9 ranked recruiting class in the country. It’s the first time Florida has signed a top-10 recruiting class since 2014. Being the flagship university in one of the most fertile recruiting states in the country it’s hard to fathom Florida wouldn’t be in the top-10 every year but that was reality. Mullen returned to the University of Florida after nine years in the SEC West at Mississippi State with big goals. 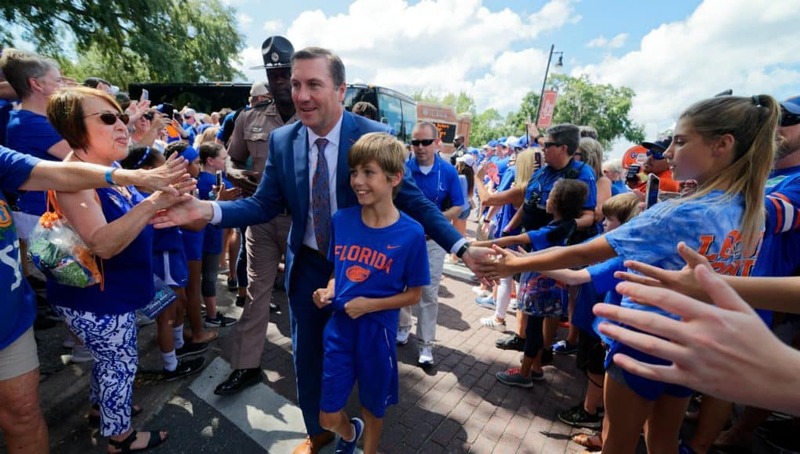 He wanted to restore the Florida standard, which to him meant competing for SEC and National Championships, something Florida hadn’t done since he left. Coming off of a 4-7 season in 2017 it sounded nice if not a realistic declaration in the short term. Mullen and his staff finished with a top-15 class despite having just a few short weeks to build relationships. The biggest tests were still to come. Mullen was selling a vision and recruits were listening but he and the Gators needed to show it on the field. That’s where the 2019 recruiting class would be won or lost. Past coaches had promised things only to show no improvement on the field. When it comes down to it players want to go to a school where they can win games, be developed and have a chance to play at the next level. 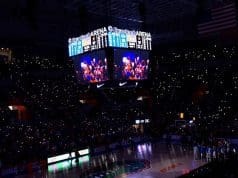 Florida wasn’t winning games and it’s hard to sell a school that isn’t consistently winning games or beating its rivals. 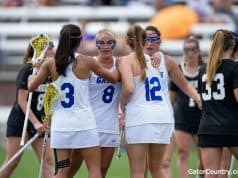 Florida started off 1-1 in Mullen’s’ first season but ran off five straight wins — including wins over nationally ranked Mississippi State and LSU — before a loss to Georgia. The product on the field was night and day from pervious seasons but the recruiting rankings still showed Florida in the mid 30s. Despite what Mullen or any football coach may say about rankings, that’s not cutting it at Florida. The biggest recruiting weekend had to have been when LSU came to town. Florida hosted Lakeland trio Keon Zipperer, Lloyd Summerall and Deyavie Hammond. Miami Carol City running back Nay’Quan Wright was also in attendance to watch the Gators beat top-5 ranked LSU. It was the best environment that Ben Hill Griffin Stadium had all season and it was the beginning of the swing for the 2019 class. The early signing period watched Florida sign every committed prospect and then add just about everyone else they were targeting. The Lakeland trio spurned schools like Alabama and Miami to join a long legacy of Lakeland Dreadnaughts at Florida. Wright spurned the hometown Canes to join Florida. Florida went into Alabama to take talented edge rusher/linebacker Muhammad Diabate. They added five offensive linemen to replenish a line that will lose four starters from the 2018 season, not to mention adding to DBU with Chester Kimbrough and Jaydon Hill. Florida would get a commitment from Chris Steele on this day, but would wait for Steele to announce his commitment publicly on his own before enrolling early. The early signing period hit everything Florida needed. There was talent but more importantly they hit areas of need. Mullen identified defensive line and cornerback as areas they needed to hit in February. With just over 10 days before signing day Florida lost defensive line coach Sal Sunseri and cornerbacks coach Charlton Warren. Not ideal when you consider the timeline and the fact that Florida would be hosting players on campus without a position coach for those prospects to meet. Still Florida finished strong. They added linebacker Diwun Black, a long time Florida commit, and took Chris Bogle from Alabama. They added Kaiir Elam to help the secondary and Houston receiver Arjei Henderson helped push the Gators to the No. 9 ranking. In Bogle Florida went toe-to-toe with Alabama and won. In Elam the Gators went toe-to-toe with Kirby Smart and won. Florida’s rise in the 2019 recruiting rankings was meteoric. For much of the cycle the Gators trailed in state rivals FSU and Miami. They weren’t even in the top half of the SEC. 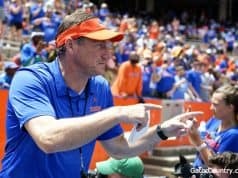 Now Mullen and the Gators enter the offseason with as much momentum as any Florida team has had in recent years. The job the staff has done both on and off the field is setting the Gators up for success much quicker than anyone could have expected.